Wouldn't it be great if you had a document listing all of the most useful shortcuts in PhotoShop,InDesign or in fact any program for that matter. Wouldn't it be great if you could print out this document and keep it handy by your desk. Refering to shortcuts before or at the start of a project will speed up your work no end. 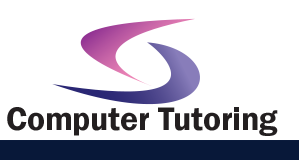 We at Computer Tutoring believe shortcuts are a must in Photoshop to work with any hint of efficiency. 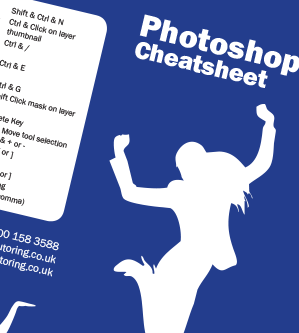 Please feel free to download and print our Photoshop cheatsheet. It contains a list of many shortcuts and hints to help you get the best out of Adobe Photoshop. Also if you feel that there is anything we should add then let us know and we'll be happy to consider it. Quickly zooming in, panning across the document with ease. Learning a view basic shortcuts can turn you from scratching in the dirt to becoming an InDesign master. 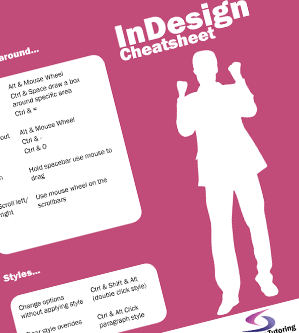 Please download, share tell others, print display but most of all make good use of this free InDesign cheatsheet. 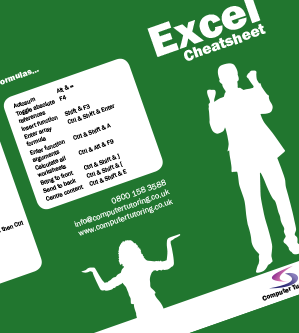 Whenever we conduct an Excel training course we never tire of our clients exclaiming... "How did you do that?" | "Could you show me again what you pressed?" | "I can't believe I didn't know that?". 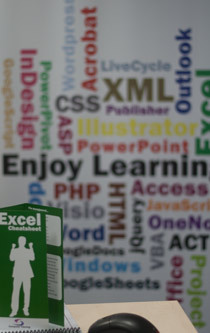 The fact is that we are all learning, in fact one of the most interesting things about training a software application that's as widely used as Excel is the number of different ways, various people use to save time. Outlook, one of the most popular email clients today, has so many shortcuts & features. Trouble is most often we just send and receive emails and possibly use the calendars without utilising all the fantastic features of Outlook. 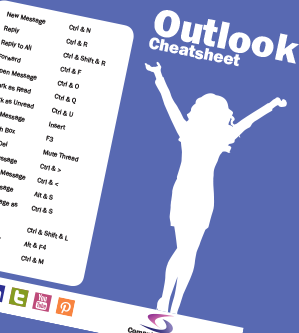 This free Outlook cheatsheet will get you started on the road to becoming an Outlook guru.